West Virginia Northern Community College graduated 407 students at commencement exercises conducted at Wheeling’s WesBanco Arena on Friday evening, May 10, the largest graduating class in its history. The college provisionally awarded 491 certificates in applied science, associate in arts, associate in science and associate in applied science degrees. Some students received more than one degree or certificate. Receiving the Distinguished Alumnus Award was Joan Weiskircher, a Wheeling resident who is a retired WVNCC employee and long-time alumni association volunteer. The commencement address was delivered by U.S. Attorney William J. Ihlenfeld II of West Virginia’s Northern District who also is a Wheeling resident. Remarks were given by the class valedictorian, Nathan Schmidt of Martins Ferry, who was presented with the Donald D. Nemanich and Sarah O. Bodkin Academic Excellence Award. Other speakers included Clayton Weeks of Wintersville, president of the WVNCC Student Government Association, who offered greetings on behalf of students, and Physics/Mathematics Professor Pam Sharma, president of the Faculty Assembly, who brought greetings on behalf of faculty. Others participating included Dr. Martin J. Olshinsky, president of Northern; Dr. Vicki Riley, vice president of academic affairs; and Dr. Darrell Cummings, president of the WVNCC Board of Governors, who conferred degrees and certificates. Weiskircher, the WVNCC Alumni Association’s Distinguished Alumnus for 2013, was introduced by Darryl Ruth, president of the association. Ruth pointed out that Weiskircher is the mother of five successful daughters and has 11 grandchildren. “Joan began her higher education at West Virginia Northern Community College, transferred to West Liberty where she earned her bachelor of arts degree and then went on to earn a master of arts in communication at West Virginia University,” Ruth said. Weiskircher retired from Northern where she coordinated the college’s community education program for 12 years before taking over the college’s recruiting program which she coordinated for 10 years. She also served as the college’s liaison to the alumni association. She has been singing in the St. Mathew’s Church Choir for 40 years and still volunteers weekly at the St. Mathew’s food pantry. Weiskircher is a long-time member of the West Virginia Independence Hall Foundation, and was actively involved in the fund drive for the West Virginia Civil War Battle Flag permanent exhibit at the hall. During 2006, she researched the foundation's history, developed a website and created a database for the fund-raising campaign. As secretary/treasurer of the WVNCC Alumni Association, Weiskircher organized many exhibits and activities in recognition of Black History Month at the college. She helped collect and preserve collections of Hazel-Atlas Glass and Baltimore and Ohio Railroad memorabilia and has presented several workshops and published several articles on Hazel-Atlas and B&O history. She assisted in hosting three national B&O Railroad Historical Society conventions in Wheeling. As part of her deep interest in history, Weiskircher served as secretary and board member of the West Virginia Association of Museums, presented workshops at their annual conventions and helped host two state conventions in Wheeling. 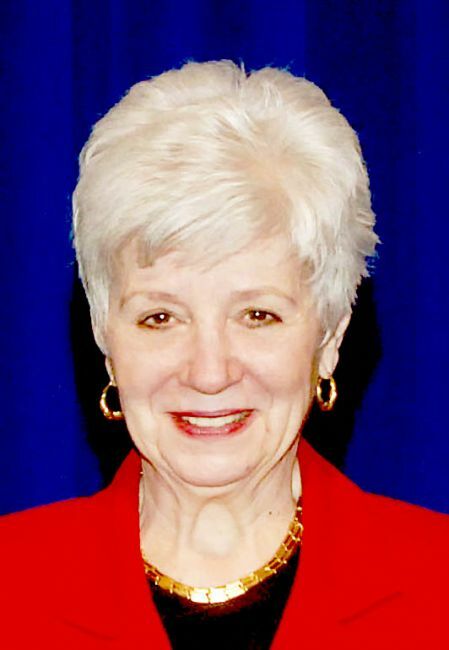 In 2007, she was recognized as a “History Hero” by the West Virginia Department of Culture and History for her work in preserving the history of Wheeling and the Mountain State. FLORIDA: Cocoa - Danielle Nicole Schell; Orlando - Austin R. Woods. OHIO: Amsterdam – Jody Catherine Grimes; Barnesville - Megan Alicia Smith; Bellaire - Ashley Corvino, Gessika Givens, Touche’ Ole’ Ann Green, Shawna Hines, Benjamin P. McGhee, Ashley Maria Myers, Dessire Angelique Shepherd, Cindy Smith, Courtney South, Tiffany Marie Tiger; Belmont - Samuel Thomas Nardo; Bethesda - Amanda Bushlow, Kasi L. Kostelia; Bridgeport - Jennifer L. Blazevich, Marcy J. Cochran, Melissa Lynn Cox, Larry Davies, Amber D. Davis, Miranda L. Frasnelli, Amy M. Hill, Bethany Dawn Lucey, Kimberly Markus, Roxie K. Miles, Lacey M. Oldfield, Harold Spencer, Brenda L. Stewart, Paula H. Weires; Carrollton - Kelly Jean Lowdermilk; Clarington - Megan Danielle Arman; Dillonvale - Kimberly Jo Henthorn Svoboda, Lindsey Watson; Hannibal - Kyrstin Clayville; Jacobsburg - Tracy L. Leiffer, Amanda J. McBride; Jerusalem - Jessica P. Carpenter; Martins Ferry - Kristy L. Bellville, Cynthia Louise Chlon, Mallory Ann Cooper, Robert O. Griffith, Rhonda L. Mussard, Nathan David Schmidt, Christy Sue Shreve, Marc A. Sneddon, Richard A. Wilson; Mingo Junction - Pamela M. Holstein; Mt. Pleasant - Catherine Lynn Kuhn; Rayland - Brianna Cottage, Rachel Guy, Jessica Zeigler; Shadyside - Alischa Nichole Earnet, Tesla Maria Kinemond, Jessica Littleton, Royal L. Riggs; St. Clairsville - Morgan Shaye Armantrout, Brandy Killeen, Jenifer Lash, Rebecca Janeen Mallett, Brittany Lynn Mayhugh; Steubenville - Marie Yabs; Wintersville - Shannon Kendall; Woodsfield - Jennifer Kline, Charity Marie Street; Claysville - Reta Lorraine Hodgkiss. PENNSYLVANIA: Washington - Laura Suyasa; West Alexander - Melisa Beck; West Finley - Elizabeth A. Richgels. WEST VIRGINIA: Benwood - Kevin Mark Fisher, Jennifer Alynn Harris, Joanne M. Luppe, Melissa Dawn Ryan; Cameron - Kyla Alley, Angie Marie Hatfield, Amanda Kae Klug, Shelby Gayle McCort, Andrea S. Richardson, Carrie Andrea Richmond, Pamela Jean Williams; Dallas - Bethanie Raye Herrick, Cathy Ward; Follansbee - Kelli Buono, Marissa Anya Dailey, Audrey Lynn Garner, Jeanette C. Siudak; Folsom - Joan Johnson; Glen Dale - Jennifer L. Crowe, Brittany Gamble, Sheri Hanasky, Brianne Kinkes, Kate Santonas, Twila Jayne Stanley; Glen Easton - Hariklia Heidi Sampson; McMechen - Shelly Hancher, Ardell Mayhugh, Charlotte Robbins, Michael David Runyon; Middlebourne - Kelly O’Neil Flesher; Mineral Wells - Kimberly A. Radcliff; Morgantown - Gregory Allen Synder; Moundsville - Jerry Ball, Francine M. Bartolovich, Brandi B. Baum, Clara Mae Bledsoe, Thomas A. Bukosky, Marvin Burdette, Ashley Criswell, Hilary Jade Curto, Deborah A. Dyer, Thomas Wayne Francis, Rikki-Lyn Nichole Gilmore, Vanessa L. Gouge, Brittie Holland, Justin Jordan, Violet Adele Mikels, Tonya Morrison, Amanda B. Murphy, Whitney Nicole Paugh, Kayla Dawn Rickrode, Jessie Lynn Rine, Christopher D. Spears, Amanda Terek, Joan Patricia Truex, Haley Updegraff, Brianna Lee VanScyoc, Chastane Wade, Megan D. Wells, Eva Joan Williams, Lisa Dawn Wysong; New Martinsville - Crystal Leean Shields, Martin Whiteman; Paden City - Kelsi L. Wood; Proctor - Amy L. Evans, Ashley Villers; Sistersville - Carrie M. Cuchta; Triadelphia - Nakia L. Evans, Hannah M. Forester, Corbi Lee Hickman, Greg E. McCroskey, Tierra Elizabeth Nelson, Joseph L. Parsons; Valley Grove - Megan Alderman; Weirton - Denise Rae Elliott; Wellsburg - Amber Coulter, Rebecca Jean Henry, Cynthia L. Keener, Joseph McCoy, Barbara Cochran McFarland, Nina Kaye Sparks; Wheeling - Alexis Ann Anderson, Rebecca L. Antley, Kevin C. Baker, Krissi Jo Barcus, Michael A. Barcus, Mandi J. Bell, Katherine Elaine Blawut, Brianne M. Blum, Tamara Jean Bruce, Patricia A. Campbell, Stephani A. Campbell, Stephen A. Carter, Tina Chandler, Rachelle L. Clemont, Carrie Corbin, Jacquelyn Cox, Amy Michele Decker, Sydnie Dorsey-Spence, Susan Dumire, James Edward Fahey, Kyle William Fahey, Stacey M. Fisher, Samantha M. Fordyce, Michael Frank, Amelia Lynn French, Tara A. Garrett, Tracy Renee Glenn, Robert W. Gracey, Raylynn Marie Gross, Sara Jane Hall, Shayla Rose Hanna, Jazlyn Noel Haloszka, Jesse Allen Hanson, Amanda L. Hartley, James Neal Hendershot, Donald Thomas Hersey, Donald Thomas Hersey, Brittany Hirt, Amy Howard, Kyle D. Huggins, Kimberly Michelle Hyde, Amber N. Ickler, Carolyn D. Jacobs, Ashley M. Kitchen, Mary Katherine Knight, Danielle Kobasko, Markell Lee, Dakotah Levy, Denise Liddle, Lisa M. Lohsl, Cheryl S. Lynn, Justin C. Macek, Kayla Rachelle Mallery, Thomas Joseph Markwas, Britney Dawn McCormick, Brittney LaSha McFarland, Barbara Juliann McMahon, Breanna Alexis Meintel, Deborah A. Michaels, Marie Genevieve Minzler, Holly M. Monroe, Caitlyn A. Moore, Nadine L. Moore, Scott Edward Moore, Cami Lynn Morgan, Alesha Marie Mucheck, Robert G. Mull III, Carla Renee’ Mullins-Polanski, Mary E. Murphy, Megan Murphy, Bethany Myers, Nicole M. Nagem, Anne-Melissa Nash, Benjamin Robert Nobile, Megan Parsons, Elizabeth Ann Prout, Tyson Reinhardt, Shannon Marie Saunders, Keri Schultz, Harry E. Six, Tina Jo Ann Mortis Sparks, Kelly Strickland, Earl F. Sturm, IV, Michael Rene’ Sullesta, Jamielee Thomas, Traci Nicole Thomas, Tramone Thompson, Deborah Vogel, Jonna Lyn Wade, Nicole Wagner, John Phillip Wesolowski, Erin Paige West, Anthony Wheeler, Jessica L. Whitacre, Morgan Ann Wojchowski, Ian L. Wood, Heather C. Yost, Bohdan A. Zyznewsky; Windsor Heights - Terry Lyn Aracich. OHIO: Bloomingdale - Tammara Lee Osborn, Julia K. Zawoysky; Brilliant - Jacob M. Brent; East Liverpool - Holly Larkey; Minerva - Matthew A. Busek; Mingo Junction - Dawn Y. Highley, Patrick C. Marshall; Richmond - Darlene I. Huebner, Jessica Roberts; Steubenville - Richard Crossley, Anastasia Lorraine Haysler, Serena M. Heckathorn, Tina Lynn Lessard, Jessica Rush, Alice Tost, Michelle Yuricic; Toronto - Kimberly G. Keirsey, Alanna Nicole Waggoner; Wintersville - Clayton Donald Weeks, Ashley Nicole Cox. PENNSYLVANIA: Burgettstown - Matt Mankowski, Scott Snyder; Coraopolis - Brandy Lynn Townsend. WEST VIRGINIA: Chester - Jenna Babyak, Scott D. Heizler, Brent Michael Higgins, Jana L. Macheca, Lisa Mae Schmidt; Colliers - Gerald George Darwin Brady, Jr., Lori A. Dennis, Josie L. Moran; Follansbee - Patrice Michele Adler, Nelson A. Arroyo, Brittny Anna Billingsley, Kelsey Bird, Tina M. Copestick, Mara Elizabeth Jackson, Miranda G. Moore, Kathleen A. Scurti, Derinda A. Werden, Amanda Lynn Williams; New Cumberland - Marcia Corrine Beagle, Lynn Ellis, Jody Lynn Goddard, Michael J. Harris, Janeen Denise Heath, Christine M. Norwood, Casey Osbon, Maria A. Rhule, Michael T. Steele, Kortnie Uselton; Newell - Christopher J. Corbin, Corrie M. McCall, William Bradley Shroades; Vienna - Sarah Elizabeth Johnson; Weirton - Jeannette J. Baker, Terry Barnes, Nicole Elizabeth Becker, Antoinette Marie Bostaph, Joshua J. Bowers, Jayson B. Canter, Tara Anne Crago, Ron Ferrell, Jamie Lee Ford, Rebecca Dawn Forester, Betty Louise Fox, Diane L. Grimm, Shawn Thomas Guio, Joanne Hans, Louis Eugene Hans, Jr., Christopher Glenn Hanselman, Brittni Helmick, Jeffery Heupp, II, Julie Anne Kievit, Evan Lamone, Krista Mellott, Rachelle Alaun Miller, Scott A. Montgomery, Nicholas Anthony Morris, Tasha Ocobock, Julia Kathleen Orangeo, James R. Reardon, Jr., Jamie M. Roach (Renner), Gregory F. Romanyak, Nikki Schmalstieg, Joel S. Schreiner, Deborah Smith, Mary B. Smith, Lydia Dawn Spencer, E. Brian Starvaggi, Kathleen R. Tirabassi, Mary Elizabeth Ward, Melissa Wenner, Tara Wills, Chelsie Rae Zapotoczny; Wellsburg - Casey L. Adams, Erin Baldwin, Philip Ausby Conley, Jeffrey M. Elliott, Betty A. Johnson, Rosanne Postlethwait, David Edward Rawson, Zachary S. Smith; Wheeling - Amanda Bria Ferda, Jessica A. Hood. OHIO: Clarington - Kierstynn Clipner, Jamison D. Talkington; Lewisville - Haley Nicole Piatt; New Matamoras - Megan Marie Kinsey, Ciera Michelle Morgan; Powhatan Point - Samantha Jo Trifonoff; Sardis - Jessica Nicole Clark, Desiree’ Autumn Hinkle, Chasity Morris, Courtney Elizabeth Smith; Woodsfield - Linsey Blair Colvin, Miranda Jo Schilling. WEST VIRGINIA: Alma - Daniel K. Warner; Middlebourne - Tamara Lynn Conrad, Allison Renea Watson; New Martinsville - James Lynn Allen, Melissa Anne Beegle, Rebecca A. Bennett, Lori Brill, Rebecca Gene Burdine, Candace Cecil, Goldie A. Desrosiers, Joseph Bruce Fox, Jr., Kathleen Jo Glover, Janice Irene Hall, Rocky Alexander Hall, Alexander B. Herrick, Melanie K. Lamp, Stacey Leichliter, Stacey M. Leichliter, Heather Mayfield, Mona T. Patel, Deana Dyana Roberts, Lewis Michael Rymanowicz, Jennifer M. Stillwagoner, Joseph Titus, Tiffany Torman; Paden City - Tammy Lynn Blatt, Tiffany Ann Blatt, Andrea Marie Garuccio, Stephanie Glover, Rosaline Miles, Shae Adele Morris, Patricia Ann Roper, Kimberly L. Underwood; Pine Grove - Kathy Irene Smearman; Proctor - Shanon E. Heddleson; Reader - Carissa A. Brown, James A. Brown, Tameka Eddy, Brooke Hinerman, Loraine Williams; Sistersville - Lecia Darlene Buchanan, Renee Marie Hubbard.